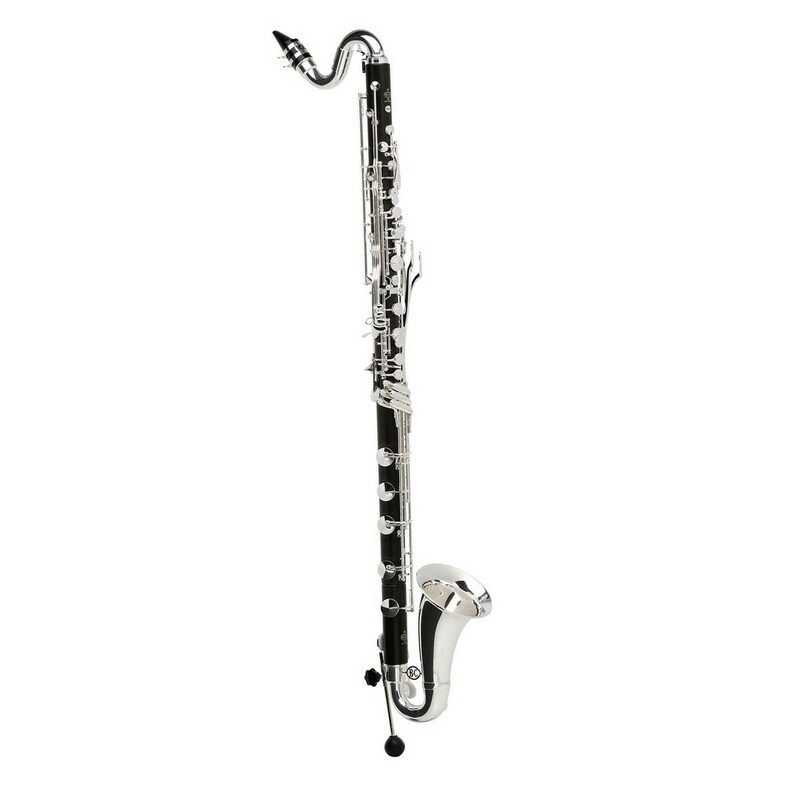 The Buffet Tosca 1195 Bass Clarinet features the perfect balance between traditional and modern technologies. Finished with grenadilla wood and complimentary silver plated keywork this model pursues an overall professional look. The 1195 clarinet is an improved model of those produced before 1998, now featuring mechanisms capable of meeting the modern day expectations. Yielding focused sounds and bright tones this clarinet is great for symphonic orchestras and suitable for professional players. The 1195 includes a unique new register key system which enables even the most demanding musicians to play the instrument's entire repertoire with huge freedom and confidence. Buffet continuously provides remarkable quality and high standards. The instruments are frequently developed and improved by a dedicated team of highly skilled craftsmen. The teams look for flaws, room for improvements, and modern day upgrades. With this in mind Buffet introduced a new bass model in 2014 which includes the perfect mix of both traditional and new technologies. Great for symphonic orchestras the 1195 bass clarinet widens the horizon of sound already loved from previous models. Focused sound and bright tones are achieved, thanks to the new register key system which enables musicians to play the clarinet's entire repertoire with great confidence and sense of freedom. The added convenience of soundless mechanisms brings a large advantage that most professionals may never have had the opportunity to experience before. Soundless mechanisms enable musicians to play freely without constraints normally caused by the key action on the lower joint or the movement of the plateau keys of the instrument. The Buffet Crampon 1195 Tosca Bass Clarinet is made from grenadilla wood. This material is carefully selected to show off its acoustic and aesthetic qualities. The wood is then polished but remains its natural colour. The Buffet Crampon 1195 Bass Clarinet comes with many accessories including a microfiber pull through. A Mouthpiece cap and ligature (mouthpiece is sold separately). Carbon fibre weave lightweight case suitable for travelling musicians. The case will help protect the instrument from knocks and scratches keeping it looking, feeling and sounding like new for longer. The last accessory found in this outfit is a clarinet strap which works to provide players with added comfort during practice.